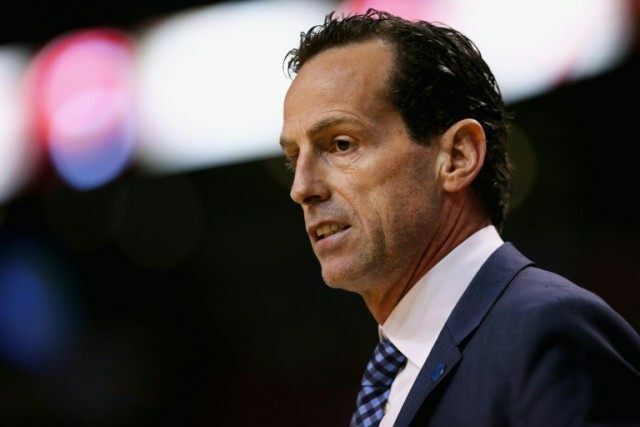 New York (AFP) – The NBA’s Brooklyn Nets named Atlanta Hawks assistant Kenny Atkinson their new head coach on Sunday. “We are thrilled to announce Kenny Atkinson as our new head coach and to welcome him and his family to Brooklyn,” Nets general manager Sean Marks said in a statement. Atkinson, 48, will continue in his role as an assistant with the Hawks until the conclusion of Atlanta’s playoff run. The Hawks lead the Boston Celtics 1-0 in their Eastern Conference first-round series after a 102-101 win on Saturday. Atkinson has spent four seasons working in Atlanta under head coach Budenholzer. The Hawks reached the post-season in each of those seasons, including the club’s first run to the Eastern Conference finals last season. “I am truly honored and humbled to be named the head coach of the Brooklyn Nets, and I would like to thank Nets’ ownership and management for this tremendous opportunity,” Atkinson said in a statement released by the Nets. The Nets are coming off a dismal 21-61 season during which they sacked head coach Lionel Hollins and installed Tony Brown as interim coach.